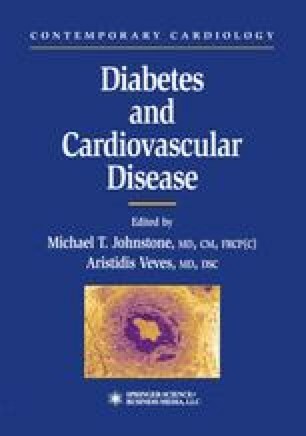 Human diabetic neuropathy is characterized by dysfunction of the somatic and autonomic nervous systems. A simple definition was recently agreed on at an international consensus meeting: “The presence of symptoms and/or signs of peripheral nerve dysfunction in people with diabetes after the exclusion of other causes” (1). The clinical manifestations, underlying pathology, and etiology of the diabetic neuropathies are varied. Classification has previously been based on pathologic and etiologic considerations, but a clinical classification of the neuropathies is favored (Table 1) (2). For research, epidemiologic, and clinical trial purposes, a more detailed definition that includes subclinical neuropathy is required (3,4). The Rochester Diabetic Neuropathy Study has established a paradigm for clinical trial design (3) that includes the following factors: (1) neuropathic symptoms (neuropathy symptom score [NSS]); (2) neuropathic deficits (neuropathy impairment score [NIS]); (3) motor/sensory nerve conduction velocity (MS NCV); (4) quantitative sensory testing (QST); and (5) autonomic function testing (AFT). The minimum criteria for a diagnosis of neuropathy required two or more abnormalities among the criteria listed, with at least one criterion including three or five. Staging was as follows: NO, no neuropathy (minimum criteria unfulfilled); Nl, asymptomatic neuropathy (NSS = 0); N2, symptomatic neuropathy; and N3, disabling neuropathy.